When we came out with AOCS – TSP Copper Rounds at the end of 2010 we sold out of the initial run of over 14,000 in under a month. Why? 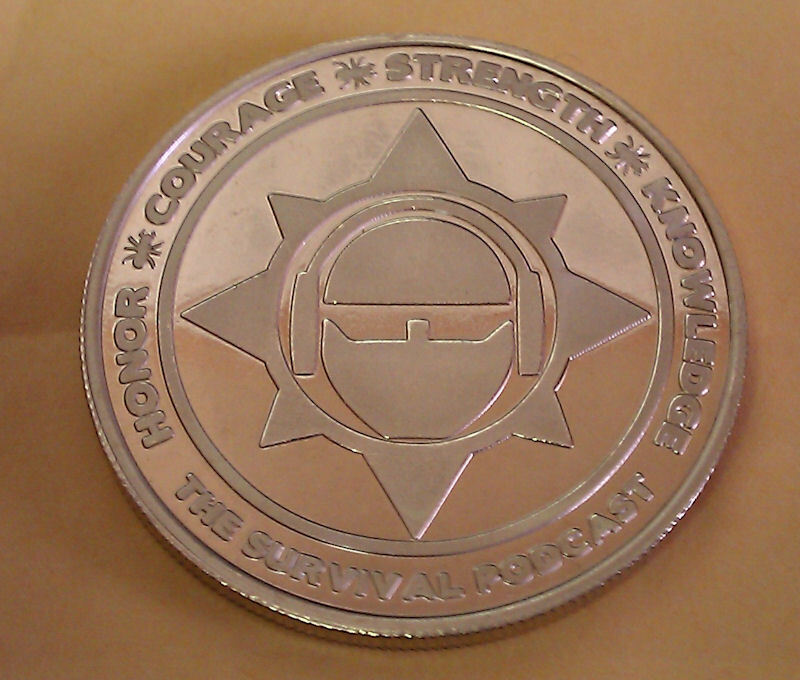 Because they are awesome, affordable, beautiful, AOCS barter currency and spread the word about The Survival Podcast in a very cool way. They are also proof quality 99.99 pure copper. The problem was we under budgeted and sold out so fast we were left with no more to offer you almost over night. Since then TSP Copper has taken off all over the internet with people selling them on secondary channels like eBay and Craigslist. Now thanks to a special agreement with Rob Gray of the AOCS mint we have them available again in quantities of 20 or more. You can order yours in the TSP Gear Shop here. So, with the FBI declaring that undermining the goverment’s fiat currency a domestic terrorist attack in the Liberty Dollar case. How does impact barter trade? The AOCS is NOTHING liberty dollar. The truth is the Liberty dollar creator passed off the Liberty Dollar as U.S. Currency and defrauded people into taking as such. That is what he got nailed for. The government for once was NOT the bad guy in that case. Here is the whole truth on the Liberty Dollar and watching the videos of the founder passing off the currency as “the new 10 dollar coin” should be enough and keep in mind silver was trading at 6 bucks an ounce when he was doing that. Lastly the FBI didn’t determine anything, the court system did.